The field of neurology is being transformed, from a therapeutically nihilistic discipline with few effective treatments, to a therapeutic specialty which offers new, effective treatments for disorders of the brain and spinal cord. This remarkable transformation has bridged neuroscience, molecular medicine, and clinical investigation, and represents a major triumph for biomedical research. 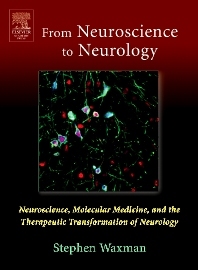 This book, which contains chapters by more than 29 internationally recognized authorities who have made major contributions to neurotherapeutics, tells the stories of how new treatments for disabling disorders of the nervous system, such as stroke, multiple sclerosis, Parkinson’s disease, and migraine, were developed, and explores evolving themes and technologies that offer hope for even more effective treatments and ultimately cures for currently untreatable disorders of the brain and spinal cord. The first part of this book reviews the development of new therapies in neurology, from their inception in terms of basic science to their introduction into the clinical world. It also explores evolving themes and new technologies. This book will be of interest to everyone – clinicians and basic scientists alike – interested in diseases of the brain and spinal cord, and in the quest for new treatments for these disorders. Neurologists and neuroscientists in teaching hospitals and their students. Seeing the Brain so We Can Save it: The Evolution of Magnetic Resonance Imaging as a Clinical Tool; Advances in the Acute Treatment and Secondary Prevention of Stroke; Neuro-Intensive Care and the Therapeutic Transformation of Neurology; Preserving Function in Acute Nervous System Injury; Slowing the Progression of Multiple Sclerosis; The Emergence of Neurosurgical Approaches to the Treatment of Epilepsy; The Neurobiology of Migraine and the Transformation of Headache Therapy; Botulinum toxins: Transformation of a toxin into a treatment; Prospects for Slowing the Progression of Parkinson's Disease; Current Neurosurgical Treatments for Parkinson's Disease: Where did they come from? ; Treatable Peripheral Neuropathies: Plasma Exchange, Intravenous Immunoglobulin and Other Emerging Therapies; Molecular Pharmacology and the Treatment of Tourette's Syndrome and Attention Deficit-Hyperactivity Disorder; Depression and Anxiety; Moving Toward the Clinic: Evolving Themes and Technologies; Genomics, Proteomics, and Neurology; Neuroprotection: Where are we going? ; Prospects for Gene Therapy for Central Nervous System Disease; Therapeutics Development for Hereditary Neurological Diseases; Inherited Channelopathies of the CNS: Lessons for Clinical Neurology; Inherited Channelopathies of Muscle: Implications for Therapy; Transcriptional Channelopathies of the Nervous System: New Targets for Molecular Medicine; New Molecular Targets for the Treatment of Neuropathic Pain; Therapeutic Transfer and Regeneration of Neural Progenitors or Neurons in Gray Matter of the Adult Brain; Cellular Plasticity of the Adult Human Brain; Harnessing Endogenous Stem Cells for Central Nervous System Repair; Neuropathies - Translating Causes into Treatment; Therapeutic Potential of Neurotrophic Factors; Promoting Regeneration of Axons within the Central Nervous System; Alzheimer's Disease: Clinical Features: Neuropathological and Biochemical Abnormalitites, Genetics, Models, and Experimental Therapeutics; Behavioral Intervention and Recovery from CNS Damage; What Functional Brain Imaging will Mean for Neurology.